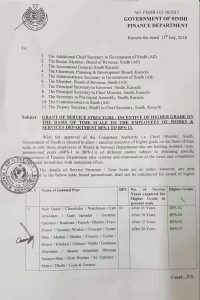 Government of the Sindh, Finance Department has issued Notification No. FD(SR-I)1(52)/2010 dated 13th March 2014 in connection with the Grant of Incentive Higher Grade on the Basis of Time Scale to the Teaching Staff. I am PST, and was on Ex-Pakistan Leave, will it be considered on service duration or will be deducted form service profile, am I eligible for time scale. Dear Shahid just read the conditions mentioned in the Notification. salam i m pst my joining date is 28-08-2008 with masters qualification .in 2011 i have done my b-ed but my basic salray is only 6920.am i eligibal for teaching allowance? when will i promote for hst? 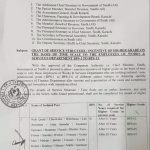 my elder sister is also appointed at the same date from iba sukkhar she is B.ed from jama millia in 1995 and masters 2001 in IR .hers basic salary is 8100.Is she eligible for hst and how can she apply for ths post.she is also pst BPs-9. Dear Qaisar Bano, If you have done B.Ed then you are eligible for teaching allowance with effect the date of declaration of B.Ed Result. I require Time Scale Promotion list of JST to HST 2014. Kindly provide to my email. Dear Taha, meray paas is ki copy nahin hay. 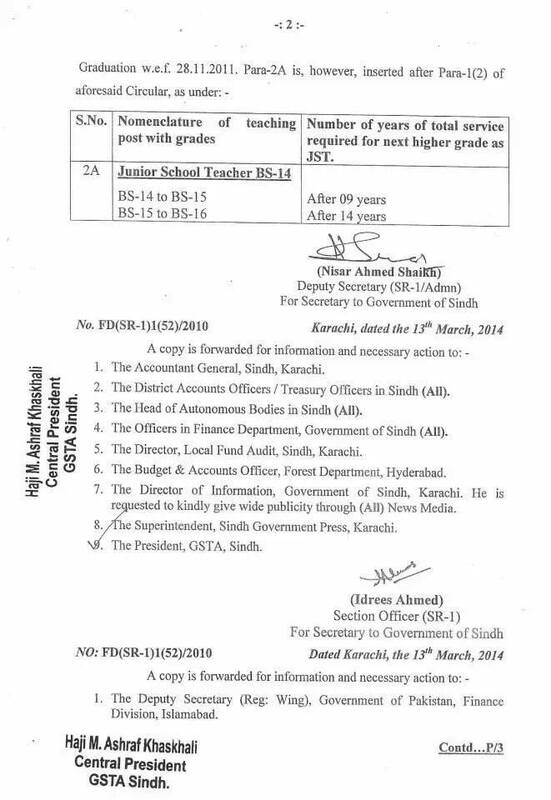 I am a JST teacher appointed in 2008 through IBA test.I was appointed on three years Fixed salary after completing 3 years we were regularised through Sindh govt notification.But i was not allowed to get annual increment from 2008 to 2012.Can i get annual increment from previous years through running scale. Dear Mubashar, I think you cannot get the same as you were working on fixed pay. Dear Anwar Ali I think any other person who is well familiar with this will reply here. Just wait. dear main 19/10/93 se karachi main slt houn. mujhe 2002 main b.ed ki wajah se grade 14 mila lekin ab tak time scale ya promotion nahi milla. es k mutaliq maloomat denge. 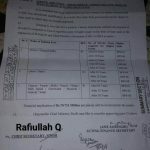 Dear Asif just send me via email full detail of ur case with department. 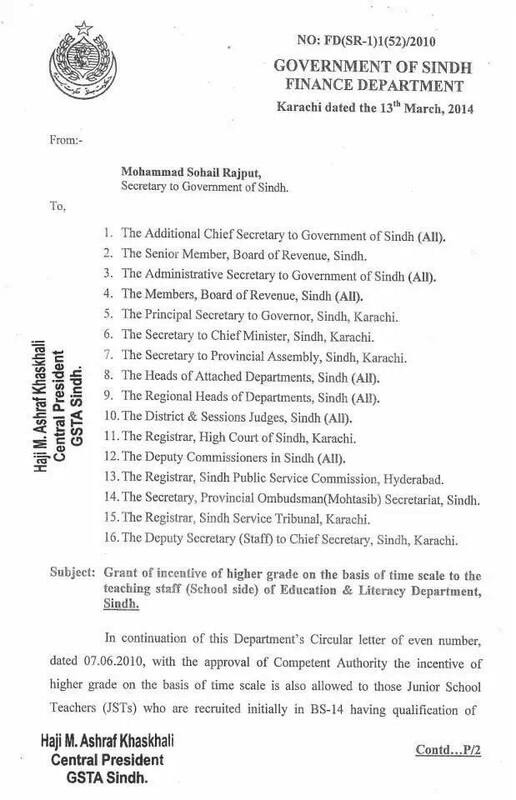 Dear shumaila, Why sindh education deportment not implement Pre mature increment when teachers promote next scale. As well as know Federal govt, Punjab, kpk, Balouchistan province also implement.can you share us ..........!? Dear Shuja on promotion all the Governments of Pakistan Grant premature increment under the rules. 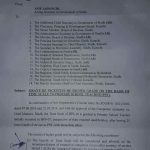 Dear shumaila, I clear it Finance deport Govt of sindh not issed notification pre mature increment, as federal and three other province issued notification. so Govt of sindh Employees not earn benefit pr mature increment. Am I right!? 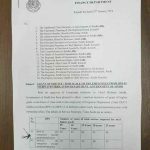 Dear Shuja Dars Sindh Govt has also issued the premature increment Notification for the class IV employees of SIndh. Dear Somro you are eligible now for Time Scale and Teaching Allowance. I am Primary School Teacher (Govt. 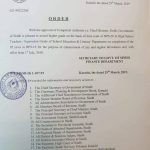 of Sindh) appointed on 26-03-2011 through Sindh University Test Pass on 3 years contract. I want to ask that when i will get permenant letter ??? any news ? Dear Jawad, According to the Sindh Assembly bill all the contract employees of Sindh has been regularized. However departmental letters are expected soon. I am working as a physical education teacher bps 14 since 14th November 1995. My initially qualification is BPED/BSC. Many same teachers promoted to B.16 although they qualified by the same education after me but senior in length of service. Pl guide me seniority list making on basis education or length of service. Dear Khan, at the time of DPC, seniority as well as qualification is checked and it is no matter when he did the concerned qualification. I AM A PRIAMARY SCHOOL TEACHER SINDH GOVT KARACHI. MY DATE OF APPOINTMENT/JOINING IS 19.09.1992. NOW I HAVE COMPLETE 21 YEARS. I HAVE PROMOTED IN BPS-11 TO BPS-14 ON 19.09.2014 ON TIME SCALE BASIS. 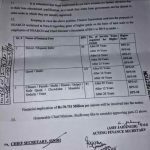 MY BASIC PAY WAS Rs.14420 = IN BPS-11 AFTER INCREMENT IN DECEMBER 2013 MY BASIC PAY WAS Rs.14880. IN BPS-11. I HAVE PASSED M.A and B.Ed .I AM A PRIAMARY SCHOOL TEACHER SINDH GOVT KARACHI.I HAVE RECIEVED ALREADY THREE ADVANCE INCREMENT OF B.Ed . CAN I APPLY FOR TEACHING ALLOWANCE. Dear Zaeem you are eligible for teaching allowance.